This is Kamla Bhatt. 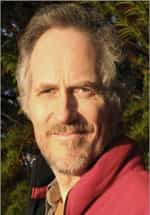 Today my guest is Tim O’Reilly, who is the founder and CEO of O’Reilly Media based in Sebastapol in Northern California. He also publishes O’Reilly Network and hosts conferences on technology topics. Tim is an activist for open source and open standard. Tim’s mantra is spreading technology change by capturing and transmitting the knowledge of “Alpha Geeks" and other innovators. Labeled as a trend spotter and technology evangelist Steven Levy famously described Tim as a scone baking publisher in a Wired magazine article. By his own admission, Tim loves making jams. Tim has a BA in classics from Harvard University. e479553e-cf23-11dd-bfcf-000b5dabf636.flvTim: Hi! Glad to be with you. Kamla: Before we talk about technology, I am very curious to know what was this tension that you explored between mysticism and logic? Tim: One of the ideas that has really shaped my life is the idea that the experience of the people, who are first wrestling with a hard problem is very different than the experience of the people who come along later and are rehearsing and replaying that same experience. So in Plato there was a lot of discussion around the idea that there seem to be some kind of tension between the ideas of logic and then these mystical images that are associated with it. And you would see people making arguments and say this was the influence of Orphix or the incluence of the Pythagoreans. I said no, no this is what it was like when people were first thinking about these abstract concepts like justice. These had numenous power. I mean it was a mystical experience. Logic was mysticism then. Now it is dry. But it was not back then. And that was kind of talk that I gave today at the DevLearn conference. I tried to highlight that by showing the progression from the Wright Brothers and their joy and excitement of just invention and then the banality of Airport Security today with people with all their toothpaste in a plastic bag. It was not always banal, and that was really the point I was trying to make in my thesis. If you are rooted your thinking in human experience in how people actually work you would say Oh this is not a conflict. This is actually how those world changing ideas felt to the people who were first exploring. Kamla: So switch to the 21st century, what is the tension you are trying to explore today? Tim: Well, I think there are a lot of tensions that we all need to explore. Probably the biggest one is the tension between the individual and the collective that is expressed and mediated through our new technological tools. This boom that that I have dubbed as Web 2.0 is really about the way that computers now allow us to aggregate data from millions of people and turn it into useful applications. Lot of people when they think of Web 2.0 they think about light weight advertising driven web applications or they think may be about social media. All those things are certainly part of the movement, but at the very heart of it is the idea that once applications live on the network, they are able to do things that a standalone computer application can’t do. What evidence showed us particularly the name Web 2.0 was not a version name, it was really a testament to our belief that the web was coming back after the dot com bust. It was really saying hey you know you guys all think that the web is dead but it is coming back and that was the real meaning of the term. We were looking at what distinguished the companies that had succeeded from the ones that had failed. It seemed to us that all of the ones that succeeded had in one way or another learned to do what I later came to call harnessing collective intelligence. They were building services that literally got better when more people used them, they were data driven services and mastery of the data gave them competitive advantage. So I always considered Google to be the pre-eminent Web 2.0 company and it is always amused me when I see people say well Google is not participatory and I say hey wait a minute first of all the very basic technology on which they rely, the web is all user contributed we open it up on our websites. Secondly, the basic technology web crawling is also they are going out there and harvesting all the user contribution. But then the break through Google introduced in 1998 with Page Rank was a very very powerful idea. Up to that time everybody, who was building a web search engine simply searched the content of the pages, whereas Google realized that there was meaning hidden in the structure of the links. Some links mattered more than others. That a link by an expert on a subject for example meant something that a link by casual consumer or a spammer didn’t mean. So this analysis of a link structure and the relative importance, who was linking was the extraction of the meaning that was hidden in the data. The second big breakthrough, which again shows Google as a contribution engine better at harnessing data from their users was their economic engine, their ad auction. Many people believed that Overture, which was later acquired by Yahoo, invented the ad auction that Google uses. Yes, they did bring to us the business model of putting search key words, I mean advertisements next to search results. But Google did something profoundly different that shows once again their deep understanding of the power of user contribution on the network. Yahoo sold ads to the highest bidder. Google realized that they can actually predict ads, which are most likely to be clicked on, and therefore they could sell not to the highest bidder but to the best combination of a price and likelihood of click. So if somebody says oh yes I will pay you $15, somebody else says I will pay you $10, but they are twice as likely to be clicked on then it will say $20 to you, and that is why Google ad option was more efficient. And in the course that set in motion the virtuous network effect that has made Google so dominant. Ads were more effective therefore more advertisers, therefore more ads, more searchers. You look at how all that works, and you say oh my Gosh! Google has succeeded because they understood better than their competitors what it means to harness the intelligence of their users. Every click goes into their collective intelligence engine and I think we saw that in the news where they announced their flu trends site, where literally they are able to make predictions about where there are outbreaks of flu simply by collecting the data from where people are searching for information about the flu. And this really is the heart of Web 2.0. This idea that there is so much data being generated on the network by our collective activity, and we can learn from it. In some sense we are building a global brand and we are present in some sense at the birth of that global brand. So back to your question. The tension that we face between our proud experience of individuality and these powerful new applications, which are an expression of our collective knowledge or collective thinking. Everything from Wikipedia, which is sort of explicitly you know let us get into our best thinking to other explicit things like Digg like services where people vote up new stories to what I have been talking about with Google. These make a very powerful statement about the power of data mining against collective information and yet the individual still matters. Infact we see one of the big trends that the internet has highlighted is the power of small companies to make a difference. The power of individuals to be noticed, whether it is through blogging or Twitter or new kinds of social media. The ability of people to create their own small associations. So we have one of the most powerful centripetal forces ever where we are seeing massive sites getting more and more data, getting better and better because more people use them in this virtuous circle that is going to lead to enormous powerful monopolies. And then at the same time we are seeing this network that so many other people celebrate, which is this decentralized network, where power belongs out in the edge, where anybody can trip you. And I think we have to understand both of the statements are true you know the internet is... I should not be saying the internet I should be very clear where I am not just referring to the internet on computers. The internet solution definition was the network of networks and I increasingly see that the cell phone network becoming part of that broader network because of course any cell phone is connected and is a host for connected applications as well. So the same principles apply, perhaps even more so because our cell phones are actually sensors gathering data even when we don’t type anything at all. They are sending their location when we take pictures with them those pictures are now being used for to build 3D models. So it’s all kinds of interesting things, there it even the applications used in the cell phones as a sensor. There is a start up called IMMMI, trying to compete with Nielsen, trying to measure television watching. The cell phone just literally wakes up every 30 seconds listens for 5 seconds of ambience sound and matches it against database saying did I hear a commercial and if so which one. Oh my Gosh! You are giving ears to the global brand. Kamla: So you mentioned very, very interesting concepts on that answer I had asked. Tim: Yes, short question long answer. Kamla: That is ok. But it throws out two other questions. One was the privacy concern, which for instance the location aware phone and how it eavesdrops if you will, even if I gave it permission on what I am doing. The second is also the lack of transparency, and this is where you said that some people feel Google is not participatory. That could maybe stem from the fact that Google’s Page Rank is still not transparent. We still don’t know what is the secret sauce that Google has. So the lack of transparency and privacy- would not those be two issues that will come into play when we talk about the internet and Web 2.0? Tim: Let me talk about lack of transparency first. There are a lot of people who think that particularly because of the roots of the technology community particularly in today’s technology community in open standard and open source software. They take almost as an article of faith that openness is this trump card that really drives innovation. What we see looking at the history of technology is that again and again early innovated markets are open. Once players get competitive advantage they become less open and they start to extract more value from the eco-system and there is this almost a Hegelian thesis-synthesis-antithesis kind of thing that happens in the industry, where we see this recycling. The early PC was this open platform, a rebellion against the dominance of IBM and yet within 10-15 years we saw a new giants emerge with Microsoft taking IBM’s place as the closed dominator of the industry. Now, we are watching about the same thing and worrying about where is Google heading in that direction, open source software, new openness, open standards of the internet and yet we see the re-emergence of big centralized players, who are not necessarily transparent and who are doing they can to cement their leadership and some people see this as evil, I see this as the natural progression of technology. This is no more wrong than the fact that we start as a baby, we grow up to be a child, then a teenager and then an adolescent and then we grow old. This is the natural progression of technology business. So, what we have to do if we celebrate openness is we say ok, what is open now? We don’t worry about what used to be open and now closed. We do find that areas where still innovation is happening and we try to accelerate that process. So I guess this hasn’t entirely addressed transparency and I do think transparency is a good thing. But, overall in my world view I just kind of accept it all. This is great line by Lao Tsu, the Chinese philosopher, who says, “The sanest man sets up no deed, lays down no law, takes everything that happens as it comes, is something to animate not to appropriate, to earn not to own." I think that if we just look on the panoply of the world as it passes by, we see there is this technology alternation. There is also a great line also from Pope John Paul-II, who said something wonderful. He said, “See everything, ignore a lot, improve a little", and that is certainly part of my attitude towards technology. I am a crusader for openness, but I also get the world is the way it is, and we do what we can and we try to see it with an unjaundiced eye. We try to ignore a lot of things that are wrong we cannot fix and then we try to fix the things that we can. So over to your other question privacy- I feel like the standards of privacy are changed and they have to change. I do not think we have found the right balance yet. But if you look with that kind of open line that I was just describing you see that...say take Facebook, when they introduced the mini feed everyone was saying Oh my Gosh! This is big invasion of privacy, but in a few weeks they were saying this is incredibly useful. And Facebook then had to introduce new features to make it possible for people to be more private. Or, Flicker when they made that breakthrough by saying our photo is going to be to the world by default and they created a mechanism, where privacy can be brought back into the picture. So I think this arc right now will explore benefits that come from giving out privacy, from sharing information from letting other people build services with our data. We are going to figure out really great things as a result from that. Those location based applications that know where you are and your phone and therefore are able to give you much more intelligent search results or make recommendations to you. Fantastic! And then we are going to say oh! this is too much and we are going to come back and we are going to say ok how we get those benefits, while protecting our necessary privacy. If we start with the idea that sharing this information is wrong, and we try to block things from happening. We never get the benefits in the first place. Whereas if we are willing to allow it will get a bit out of whack and we want to go back and recover and fix it we are in a much better position. You were listening to Tim O’Reilly of O’Reilly Media, tune back in for part 2 of our conversation. This is Kamla Bhatt and this interview is brought to you in association with Live Mint Radio. And as always thank you for tuning in.